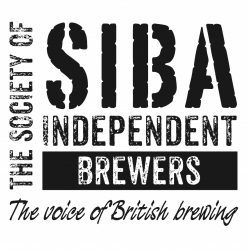 For an on-trade support project that truly epitomises so much of what the Society of Independent Brewers stands for. In giving ‘concept-to-realisation’ backing to the revival of the Lade Inn near Callander, TSA have shown just what targeted on-trade support is about – and what it can achieve. Involvement with the local craft business that bought the property, from the early planning stages, through cellar installations and staff cellar training in handling cask ales, to developing a range of beers exclusive to the pub, meant that TSA effectively offered themselves as key consultants to the project. Their ongoing support – for the creation of Scotland’s only real ale shop, now established at the premises, and for the staging of a beer festival at the pub, gives further evidence of the outstanding merit of their entry. Following consultation with Asda Derby’s beverage manager, Derby Brewing Company secured a one-month promotion for their premium packaged ale. With support including point-of-sale and in-store sampling every weekend, Asda’s superstore in Spondon sold 275 cases over the period – 1300% up on normal weekly sales. The sales performance was tracked as an Asda ‘key product’, and the beer out-performed all other key products in the Asda South region over the four-week period. The beer’s called ‘Business As Usual’. Perhaps it needs a new name! When the floods hit Sheffield in June 2007, Kelham Island Brewery became…an island! Beer was lost and brewing could not recommence for some time, and the potential loss of customers threatened longer-term commercial repercussions. But a hastily conceived and truly brilliant PR response enabled the company to rise above the water and turn disaster into a marketing opportunity. 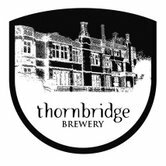 A press release targeted every media avenue within two days and customers were kept informed of developments via a newsletter and the brewery’s database. The PR campaign was rewarded with national and local TV, radio and newspaper coverage. A special beer and a beer festival including local flood-hit pubs maintained the interest and consolidated the success of the company’s initiative. An effective, refreshingly concise and ‘without frills’ presentation, setting out the strategy – aims, objectives, targets – behind the build and use of a database via the re-launch of the Everards website; detailing the media and methods employed to attract electronic visitors; and providing a clear review of achievements and an evaluation of the ongoing and evolving project. In perfect timing with the Yorkshire Wolds Way National Trail Silver Anniversary celebrations, Wold Top Brewery snapped up their chance to launch their Wolds Way Pale Ale, scooping up many awards on their journey. Taking advantage of the occasion, Wolds Way Pale Ale was given a label designed to reflect the walk and features a section of the trail which runs adjacent to the farm-based brewery. After extensive promotion via letters, adverts, and pop-up stands, Wolds Way Pale Ale is now sold singularly, and as part of limited edition commemorative packs, in most local venues including pubs and shops. This fantastic launch has provided a bottled beer that not only supports its local area, it has gone on to win the Yorkshire Post and Harvey Nichols Taste awards for Best Local Brew. Despite such a short history of brewing (since 2003), Acorn Brewery has successfully captured the attention of many free trade customers by making their beer that ‘little bit extraordinary’. As part of its strategy to respond to this constant call for new beers, at the beginning of 2007, Acorn decided to introduce a real point of difference with the brewing of a series of IPA ales based on the use of single English hop varieties. Well received by publicans across South and West Yorkshire, they reported that their customers were impressed with the brews and demand grew quickly. After the first brew of 10 barrels in March, the demand increased production to 20 barrels in April and 30 in May, adding to the demand. IPA sales were boosted when a leading wholesaler got behind them acting as a real plus for long term growth. For the creation of Brew Team 07, in partnership with Sheffield University, to engage a group of students – with no affinity for or knowledge about real ale – in a process of brewing education, culminating in the brewing of beer, by students, for students, to go on sale in University bars and help launch a new ‘student village’ development. A unique idea, put into effect with meticulous planning and selection of participants, that has culminated in the production of two new beers and significant sales prospects for the brewery. A witch on a bottle screams out Moorhouses Brewery – and their history of branding success, so it was no surprise to see this entry. After the introduction of a third bottle to their range, Blond Witch, Moorhouses took a look at a collective brand identity designed specifically for the real ale thirsty Americans. This led to the introduction of a new style bottle with striking fresh labelling. After choosing a more user-friendly lightweight bottle the powerful image was designed to accompany product information on the wrap around label. It was at this point that the outer packaging was considered, resulting in a coloured eight-bottle takeaway pack with a tear-off lid and handles on the side. According to Moorhouses Brewery, early indicators point to a great success. For over six years Castle Rock Brewery has supported the local Nottinghamshire Wildlife Trust by launching a new beer with a brand new recipe each month. Funding to date totals in excess of £100,000, and in return the wildlife trust provides great PR for the brewery and its products. Castle Rock continually ensures the sponsorship stays fresh by inviting trust members and pub customers to input their ideas, such as designing pump clips, for example. Another benefit to the Nottinghamshire Wildlife Trust is that Castle Rock’s support helps to increase their membership and awareness both locally and nationally by promoting their work. They get press coverage and funding, and Castle Rock Brewery get a noticeable increase in demand for their beers. It really is a win-win situation. Opening a box of Purity goodies is like opening a box of chocolates – you just don’t know what great point of sale items they’ll offer next. The reason is due to their active attempt to differentiate themselves from the traditional brewing market, and beer as an ‘old man’s drink.’ And right they are! The material includes pump clips, T-shirts, and Gift carry packs which all carry the modern feel – with their red star and UBU the dog. Purity claim they want to ‘stand out from the crowd’ and attract a younger audience, which is certainly achieved by their unfamiliar shaped pump clip and fresh and modern designs. As a fairly new company Purity has excelled at creating brand awareness for its target audience and in turn has increased sales.